Cumberbatch Wants Britain To Pardon Men Convicted Under Anti-Gay Law : The Two-Way The Oscar-nominated star of the Alan Turing biopic The Imitation Game has joined actor and comedian Stephen Fry in calling for a blanket pardon of 49,000 men punished under long-defunct law. 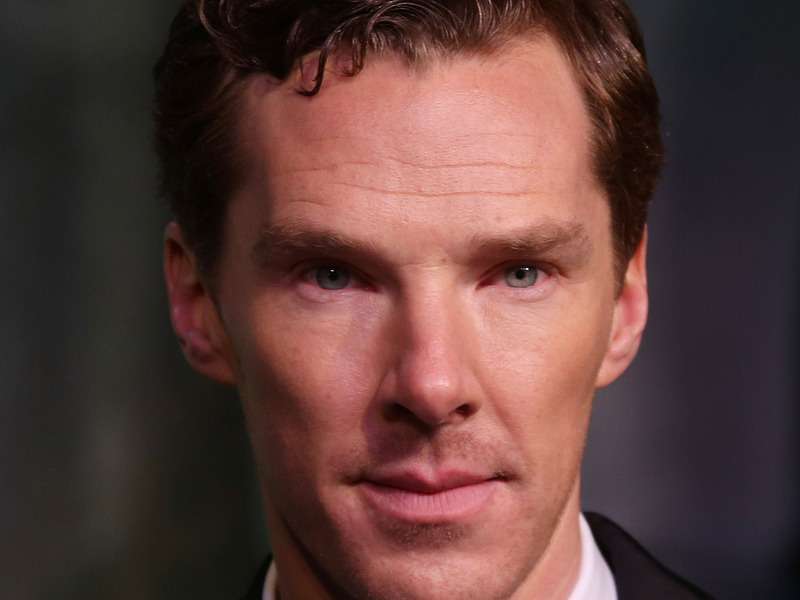 Actor Benedict Cumberbatch poses for photographers in London in December. English actors Benedict Cumberbatch and Stephen Fry have joined in a campaign to secure 49,000 pardons — most of which would be posthumous — for men convicted under Britain's now-defunct "gross indecency" law that made it a crime to be gay or bisexual. Cumberbatch has been nominated for a best actor Oscar for his portrayal of code-breaking genius Alan Turing in The Imitation Game. Turing, whom Winston Churchill described as having "made the single biggest contribution to the Allied victory in the Second World War" for breaking the German military's Enigma code, committed suicide in 1954 after being convicted under the law. 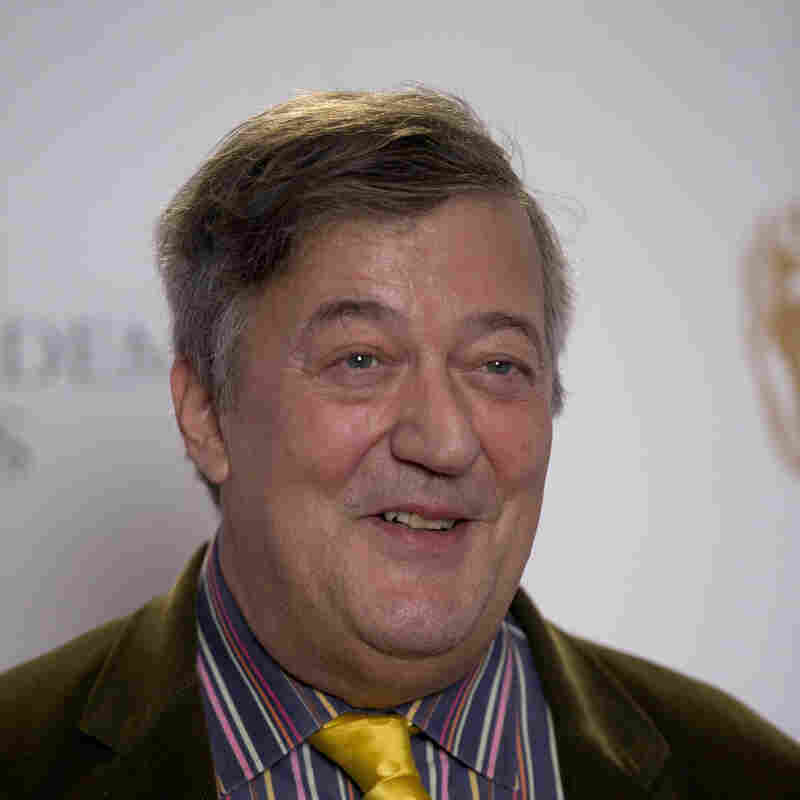 British actor and comedian Stephen Fry at the BAFTA (British Academy of Film and Television Arts) award nominations in London, earlier this month. A letter sent by Cumberbatch and Fry to the Duke and Duchess of Cambridge asked the royal couple to persuade the government to issue a blanket pardon to gay and bisexual men convicted under the law, which was repealed in England and Wales in 1967. "The UK's homophobic laws made the lives of generations of gay and bisexual men intolerable," the letter says, according to the U.K.'s Channel 4 news. "It is up to young leaders of today including the Duke and Duchess of Cambridge to acknowledge this mark on our history and not allow it to stand," it says. "We call upon Her Majesty's Government to begin a discussion about the possibility of a pardoning all the men, alive or deceased, who like Alan Turing, were convicted." The letter says that an estimated 15,000 men convicted under the law are still alive. In 2009, British Prime Minister Gordon Brown apologized on behalf of the government for Turing's treatment, which included a requirement that he undergo chemical castration. Four years later, in Dec. 2013, Turing was officially pardoned. In a statement issued at the time, then-Justice Secretary Chris Grayling said the mathematician — who also was the first to outline the broad concepts of modern computing — "deserves to be remembered and recognized for his fantastic contribution to the war and his legacy to science."